Primary 1 have been studying space and created these wonderful astronauts who have been living in a galaxy far, far away! The classroom doors are looking superb thanks to all the children who recreated some famous book covers during our World Book Day house challenge. What do you think! 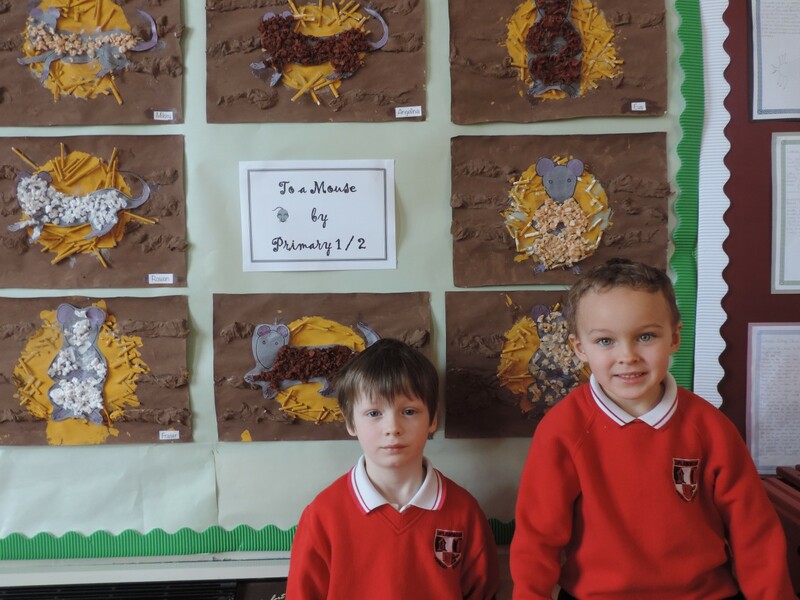 Primary 2/3 have been studying the work of Steven Brown and created their own McCoos. They used oil pastels and focused on colour and line to create texture. Have a look at their work below. Primary 1 read ‘Sharing a Shell’ by Julia Donaldson. The children wrote a sentence describing the shell they would like to live in. They then made a tissue paper fish and a rock pool using play doh. Have a look at their wonderful designs. Ollie, Dexter, Jack, Andrew, Zoe and Alex have been learning about symmetry and made these wonderful symmetrical designs using their ICT skills. 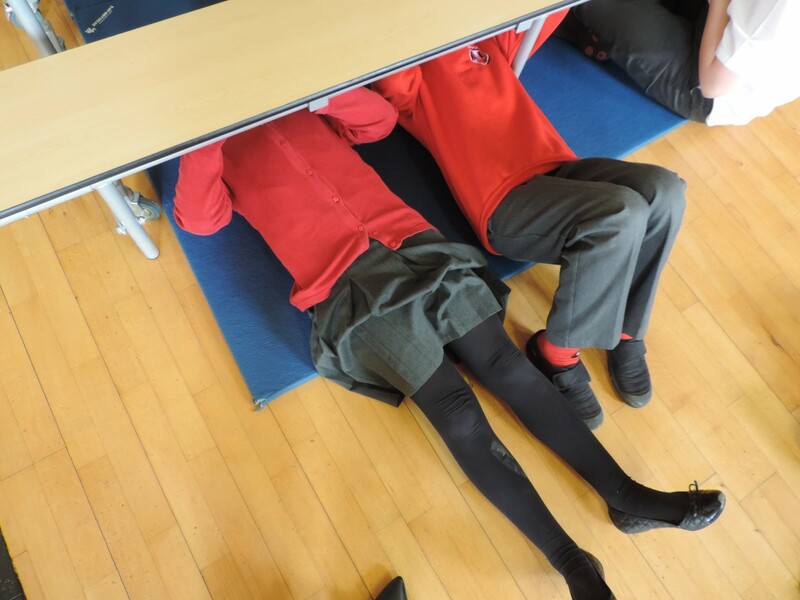 In P4/5 we have been learning all about tsunamis and their impact. We have learnt how a tsunami occurs, where they are most likely to happen and how to create a good warning system. This is all part of our topic “Water”. We are also learning all about the water cycle in Science. 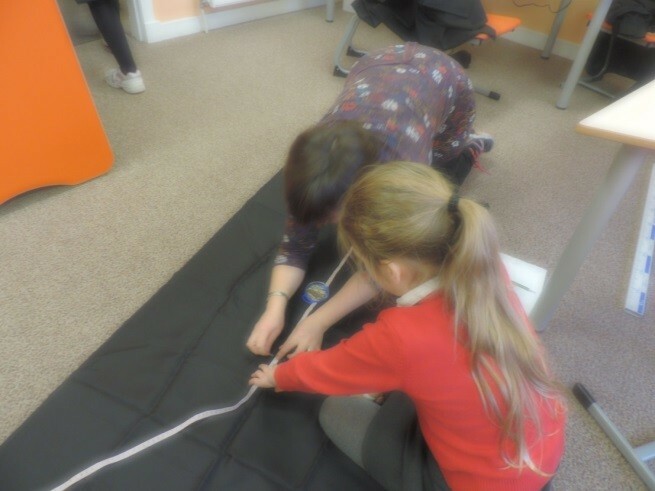 Primary 4/5 have been creating a giant tsunami for their classroom wall. We’ll post a picture when we are finished! Great effort though from our P4/5 artists! Here is Mhairi’s Professor. 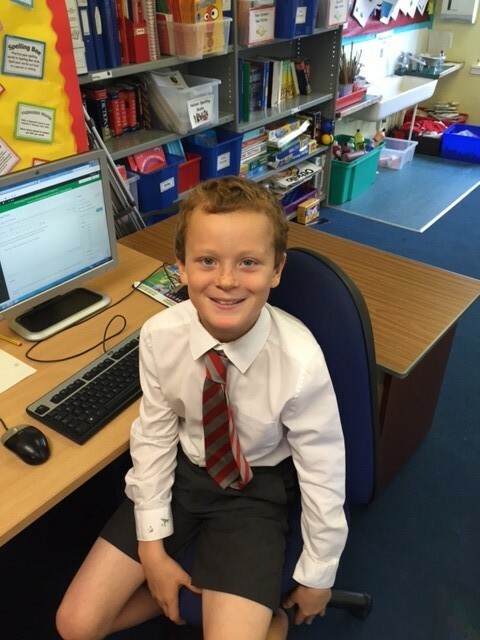 A huge congratulations to our very own Primary 1 pupil, Oliver Curle, who has been chosen as a finalist in MacTaggart and Mickel Homes’ Swimmer drawing competition. 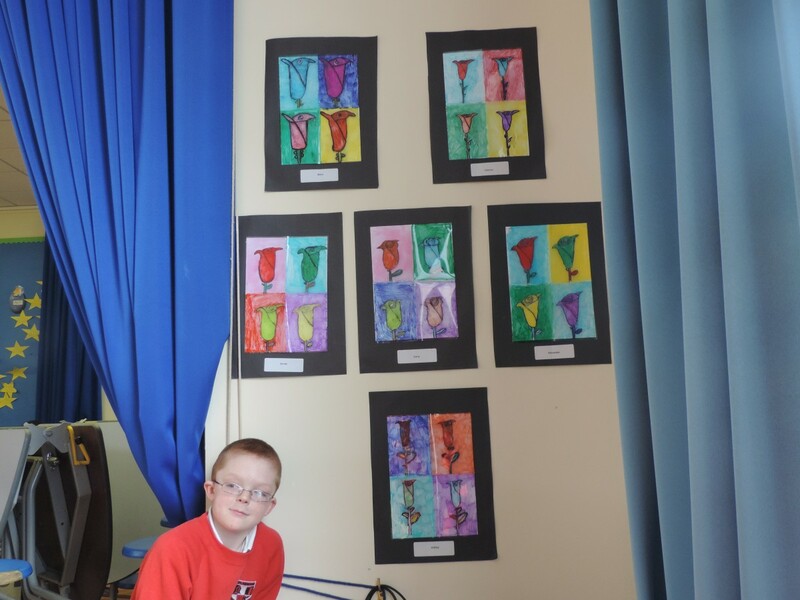 They were extremely impressed with his artwork which was ‘colourful and well designed’. Champion swimmer Mark Deans, who came to visit the children, will now look at the finalists’ artwork from ourselves, Mearns Primary and Howwood Primary and decide on an overall winner. 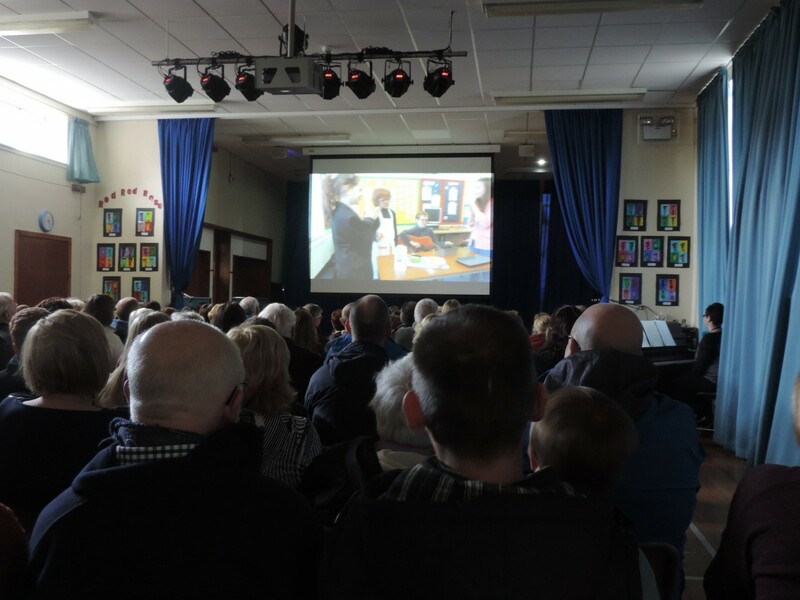 The winning school will receive £100 in sports vouchers. Good luck to all the finalists and we will keep you posted on Oliver’s entry! 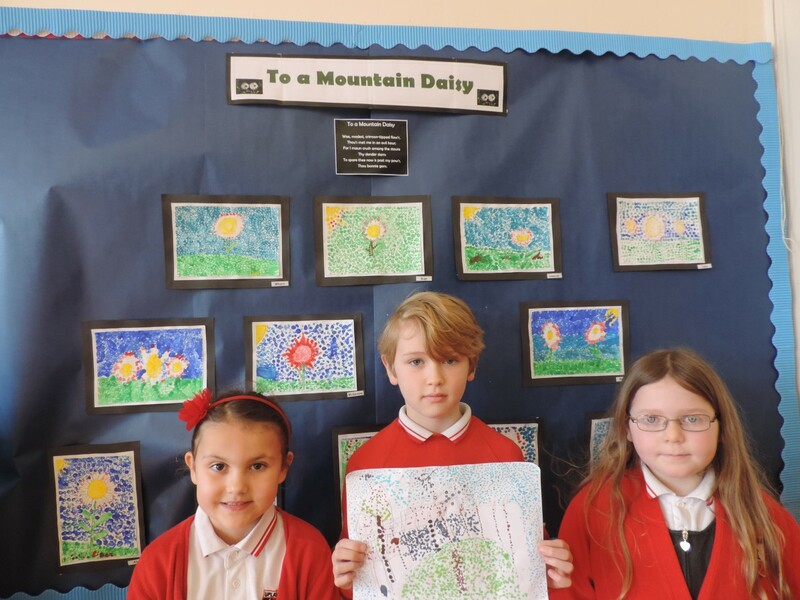 Thank you to Sheila and Lorna who came to Uplawmoor Primary today to judge the Uplawmoor Gala Day art competition. 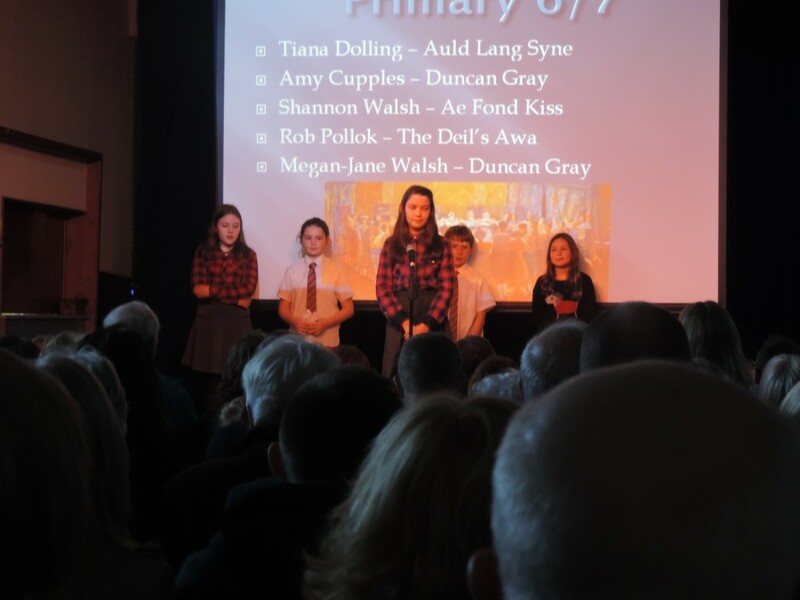 After much deliberation, the judges chose Mhairi Carslaw’s design as the winning image and her artwork will feature on the front cover of the program. 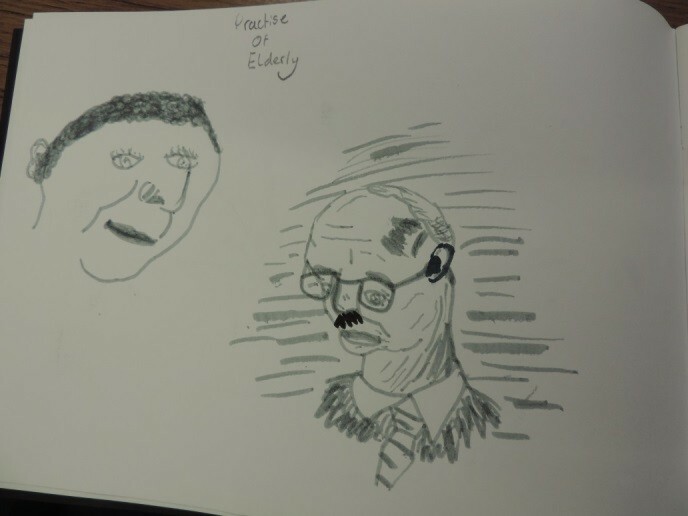 The brief was to incorporate the theme of Shakespeare, so Mhairi (Primary 5) decided draw a portrait of William Shakespeare himself. The Gala Day, will be on Saturday 11th June from 1pm – 4pm and there will be lots of fun and games! 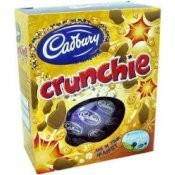 The program costs £2 which will go towards our school fund. Congratulations Mhairi and we look forward to buying your program this week! 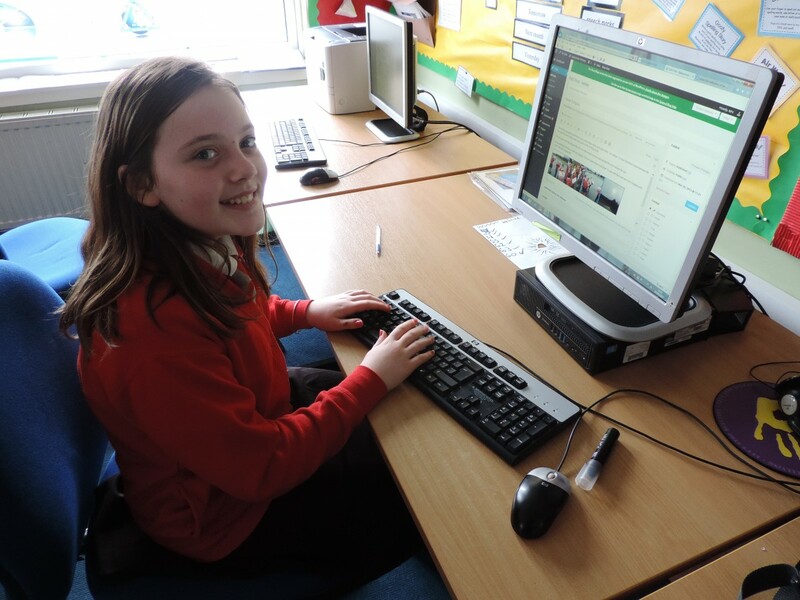 We are so proud of Lauren Sanders in Primary 7 who came 2nd place in the Primary 6/7 category for East Renfrewshire’s Road Safety Calendar competition. 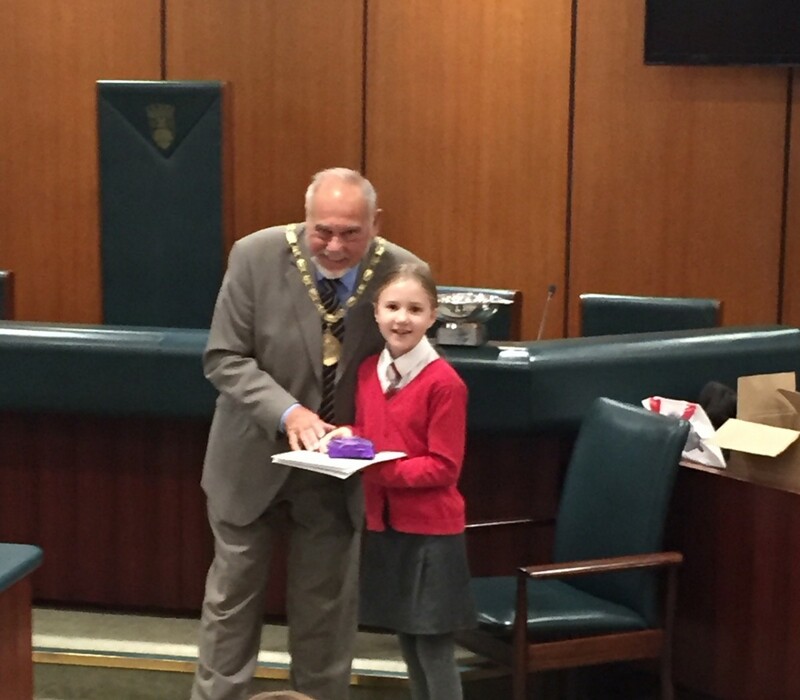 Mrs Sanders, Lauren and Mrs Tait were invited to the Council Chambers in Eastwood to watch Lauren receive her prize for her fantastic artwork which earned her a page in the 2016 East Renfrewshire Road Safety Calendar. 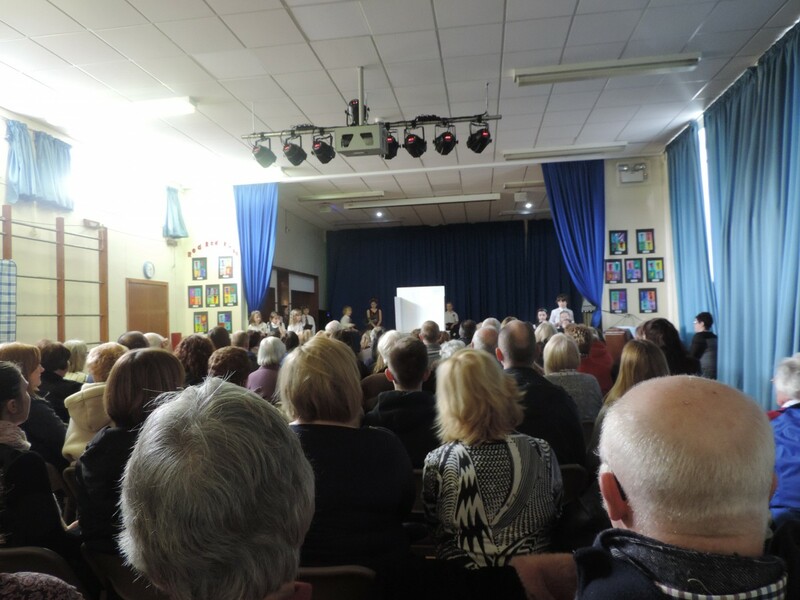 Well done to all the boys at girls at Neilston, Eaglesham, Thornliebank, Giffnock, St Thomas’ and Kirkhill who also won prizes for their wonderful road safety artwork. 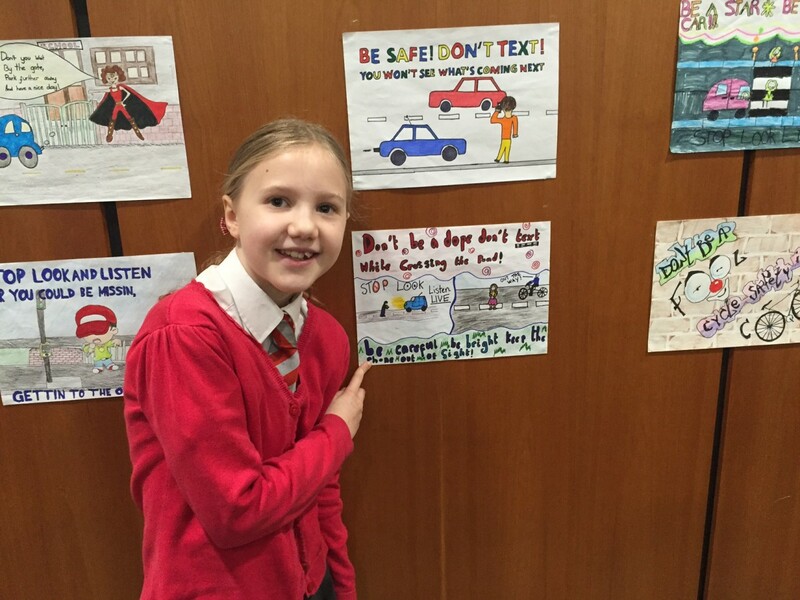 A huge well done to Lauren Sanders who will have her fantastic artwork displayed in the East Renfrewshire Primary School’s Road Safety calendar next year. 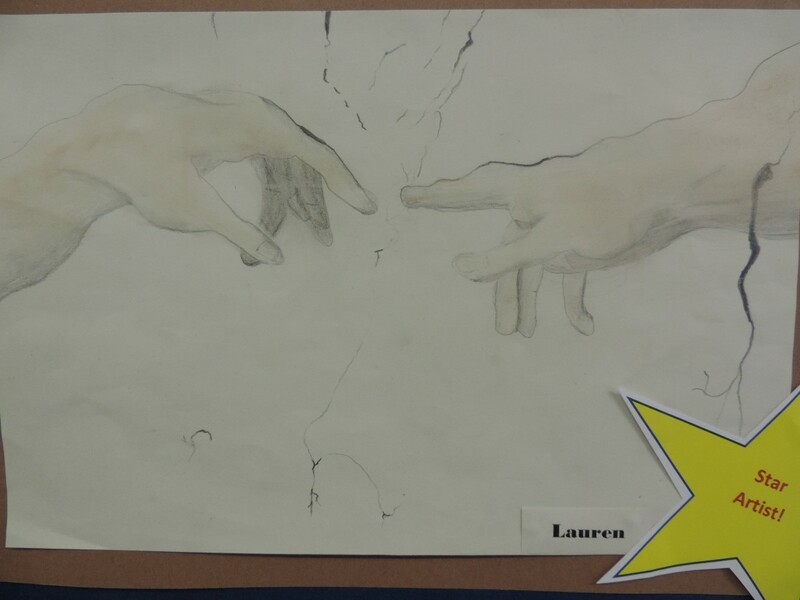 Lauren’s artwork was picked out of hundreds of entries from schools across the authority. What an excellent achievement Lauren! 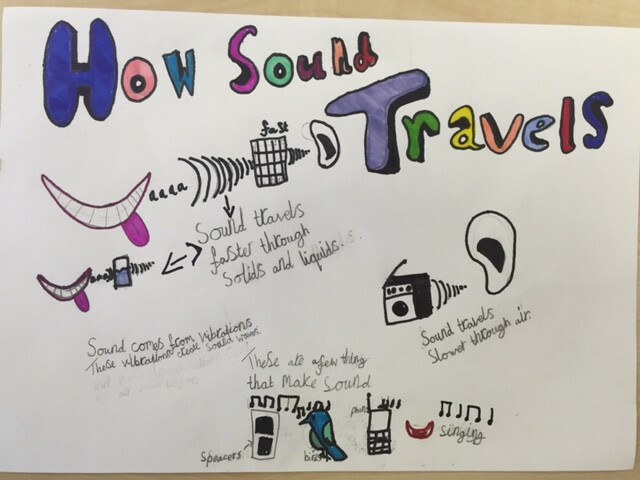 Primary 4/5 have been learning about sound and how it travels through air molecules. 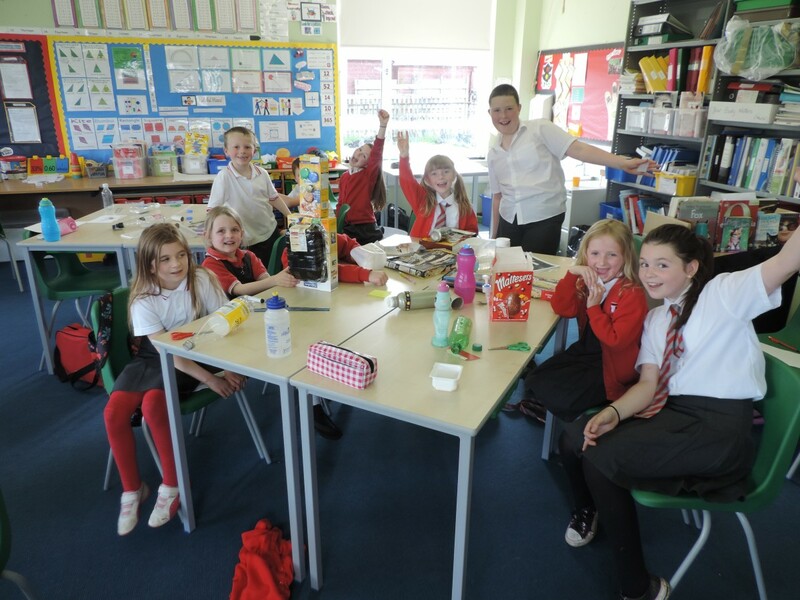 Whilst our new starts were visiting Primary 1 and Mrs Meighan, Primary 2 came to see us in P6/7 and made some wonderful robots, televisions, castles and swimming pools. Nice working with you Primary 2! 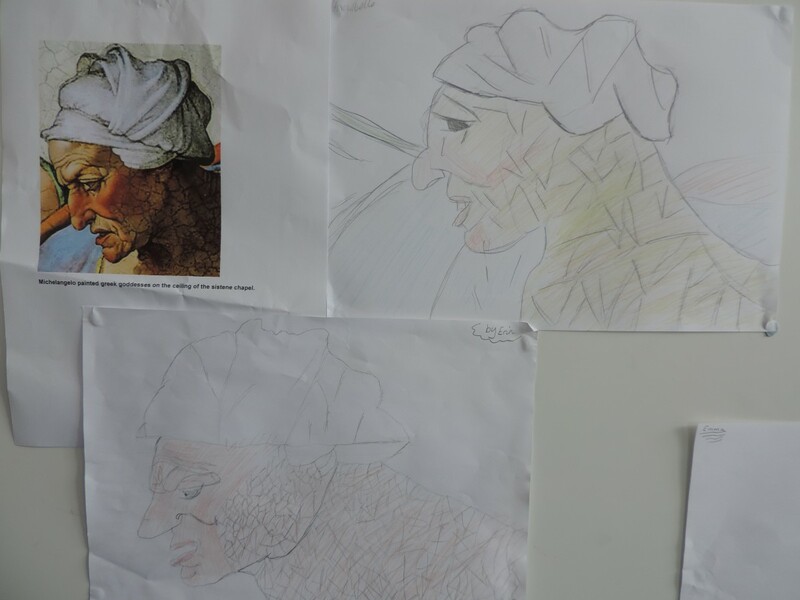 Primary 6/7 are studying the work of Michelangelo. 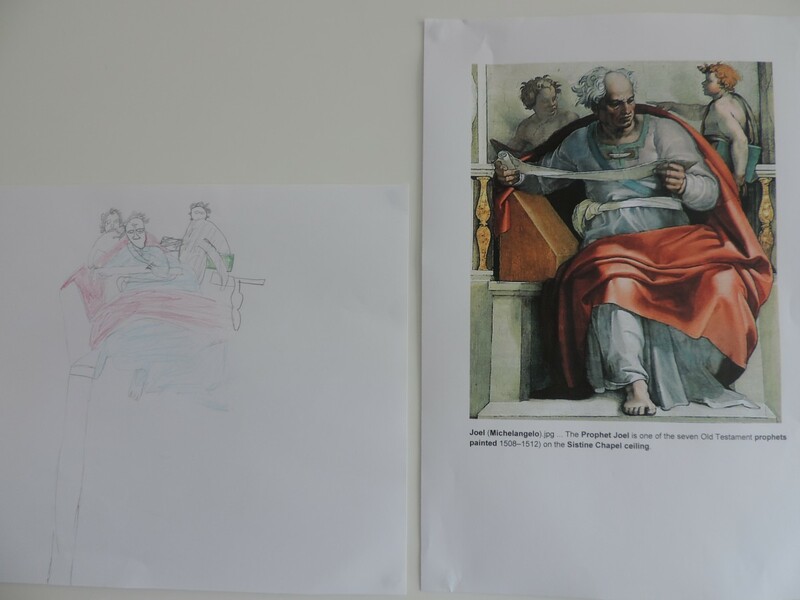 The children sketched their versions of the famous hands of God and Adam from ‘The Creation of Adam’. 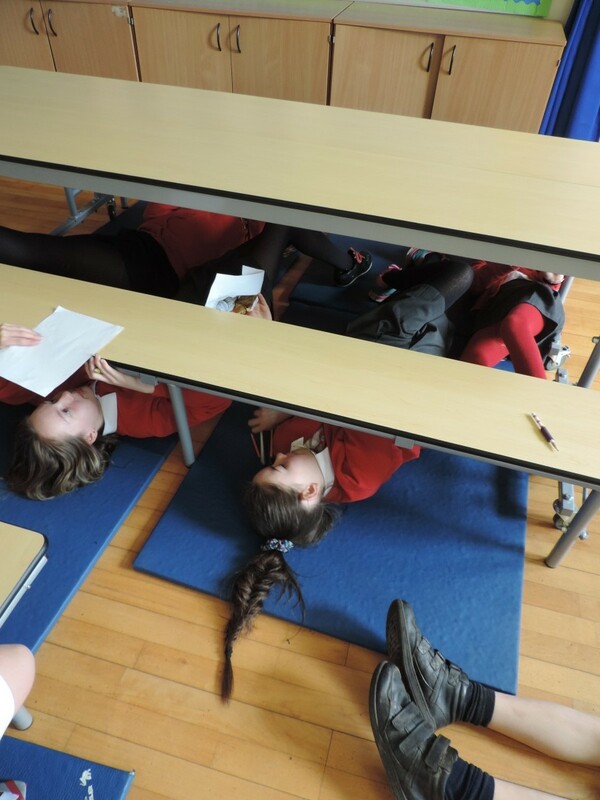 We then had experience of how Michelangelo painted the Sistine Chapel ceiling in Rome. To reach the chapel’s ceiling, Michelangelo designed his own scaffold, a flat wooden platform on brackets built out from holes in the wall near the top of the windows, rather than being built up from the floor. He mainly painted in a standing position, however, we decided to sketch some of his work as if we were 60ft in the air. We stuck a piece of paper on the bottom of a table. We all found this activity very hard but some of us mastered it. Here are some pictures of the art work. “My back is aching!” Megan-Jane. “My arm is getting sore!” Josh. 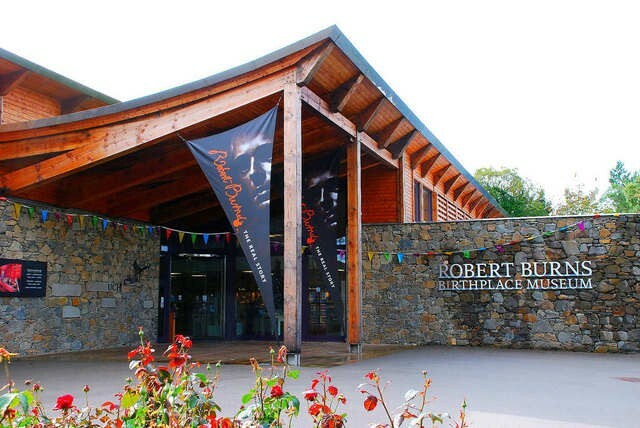 Just a quick reminder of our whole school trip tomorrow (Tuesday 10th March). Children should wear school uniform and bring a packed lunch in a plastic bag. 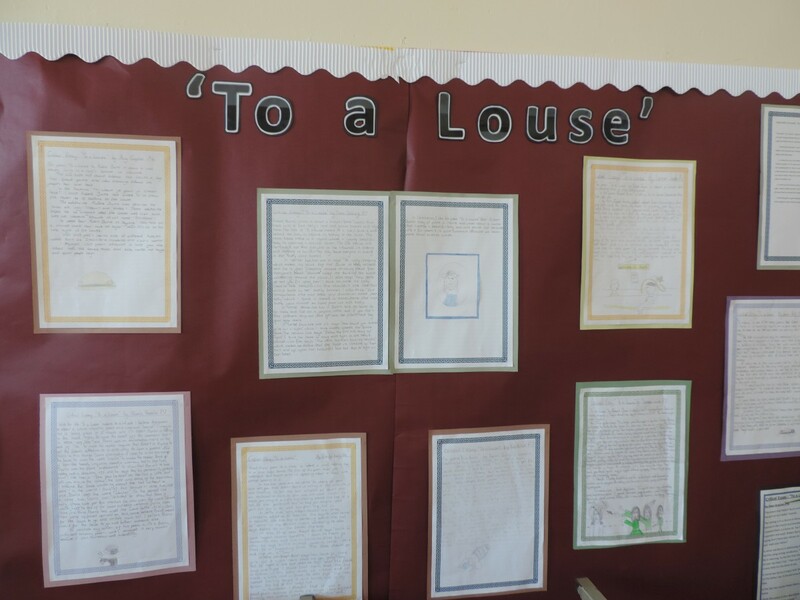 To keep in the Burns theme, the website committee have taken some photographs of the work the children have completed on the works of Robert Burns. 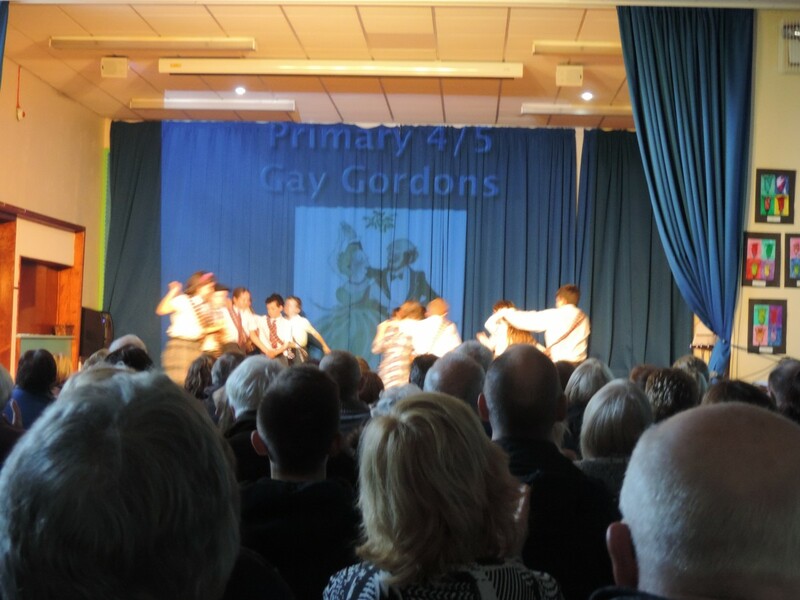 The boys and girls of Uplawmoor Primary entertained the audience with song, dance, story telling and drama on Friday afternoon. 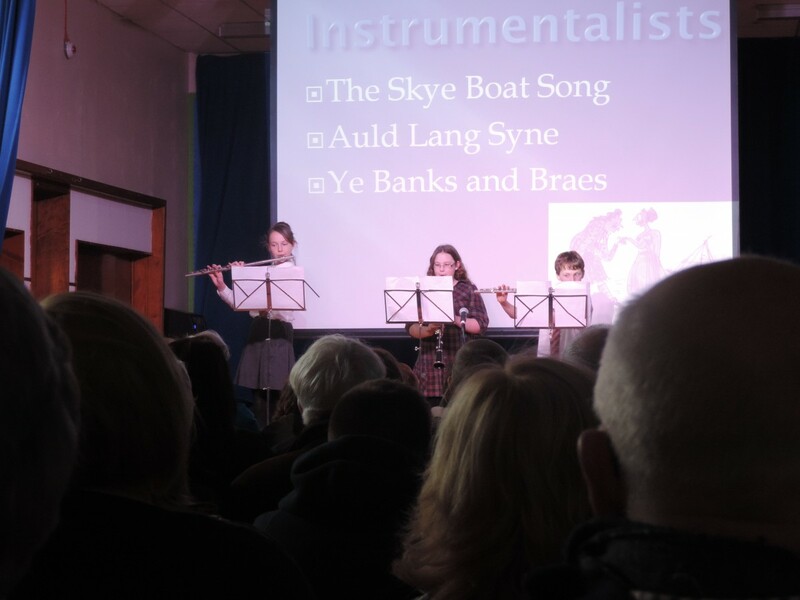 A huge well done to all the competitors who recited a Burns poem or sang one of his songs. 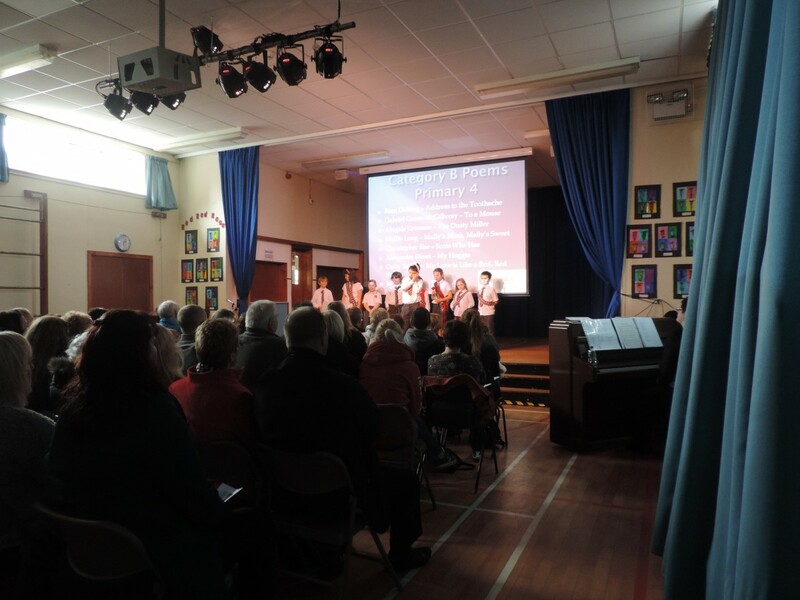 We had such a great afternoon and we hope all the parents and friends did too. 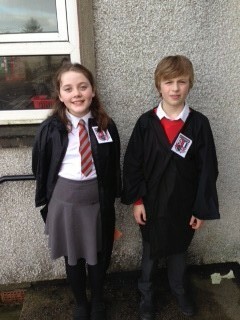 P6/7 are called to Glasgow’s High Court! 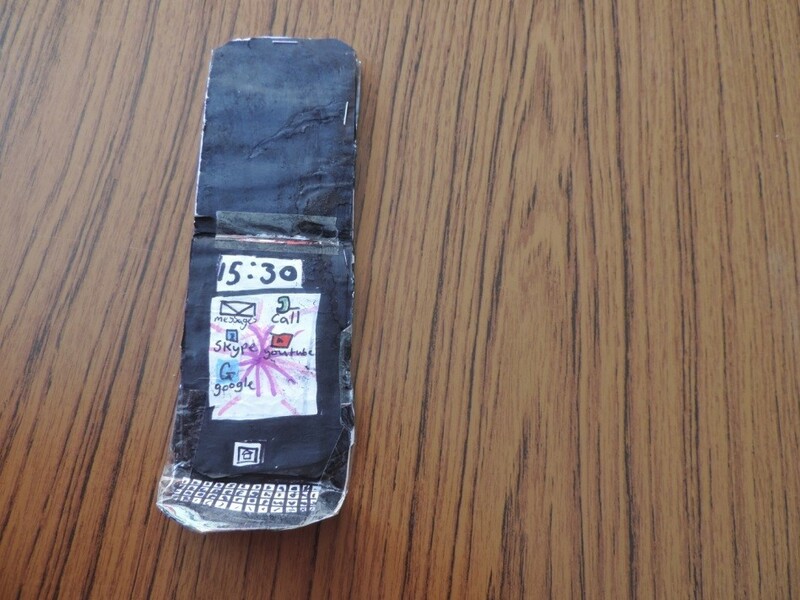 The pursuers and defenders of Primary 6 and 7 were called to court on Monday 26th January in the case of Mrs Telfer vs Talk and Text Communications. 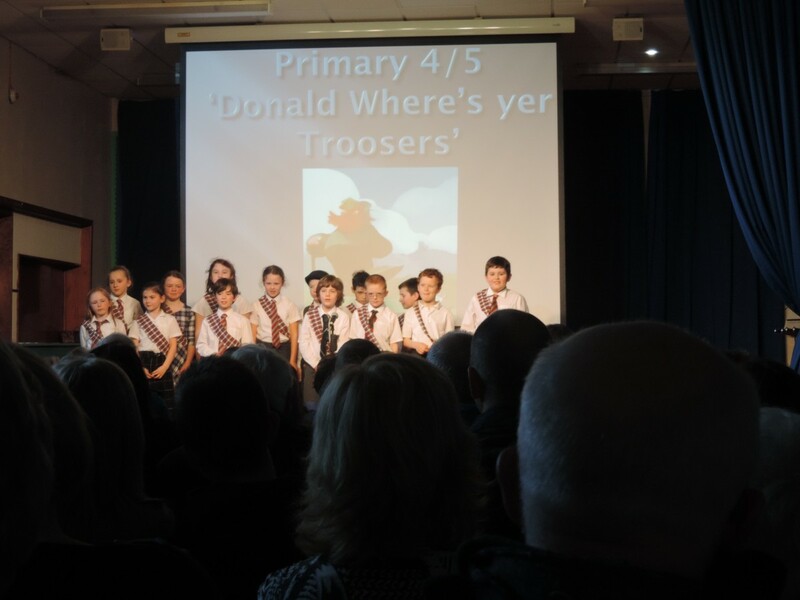 Uplawmoor Primary School took part in the West of Scotland category and were competing against two other Primary Schools in Glasgow. 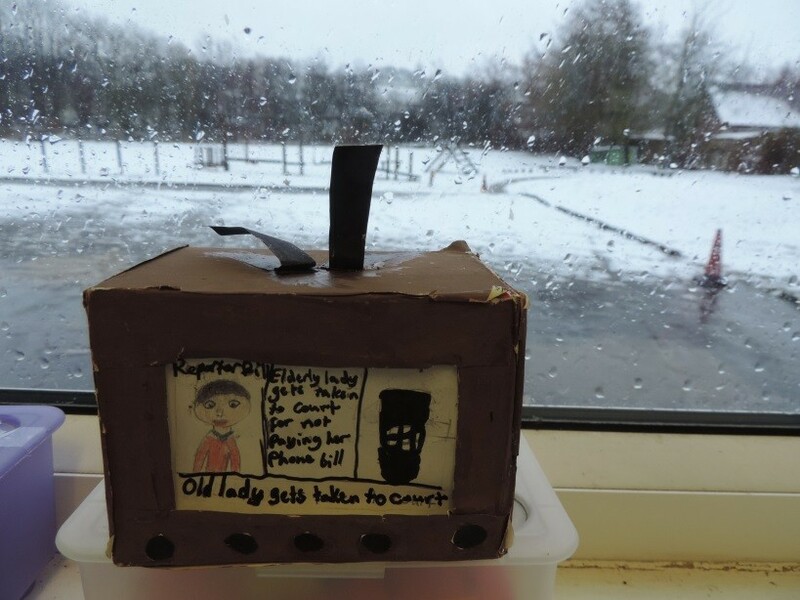 The children did a wonderful job and representing their clients and have worked so hard to ensure they were prepared for court. Amongst the children we had witnesses, solicitors, reporters, gown makers and court artists. 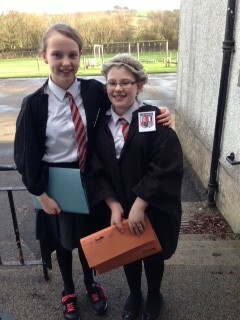 A special well done to Niamh who was the defending solicitor and Erin who was the pursuing solicitor. You both took on a very important (and scary) role and made us all very proud. 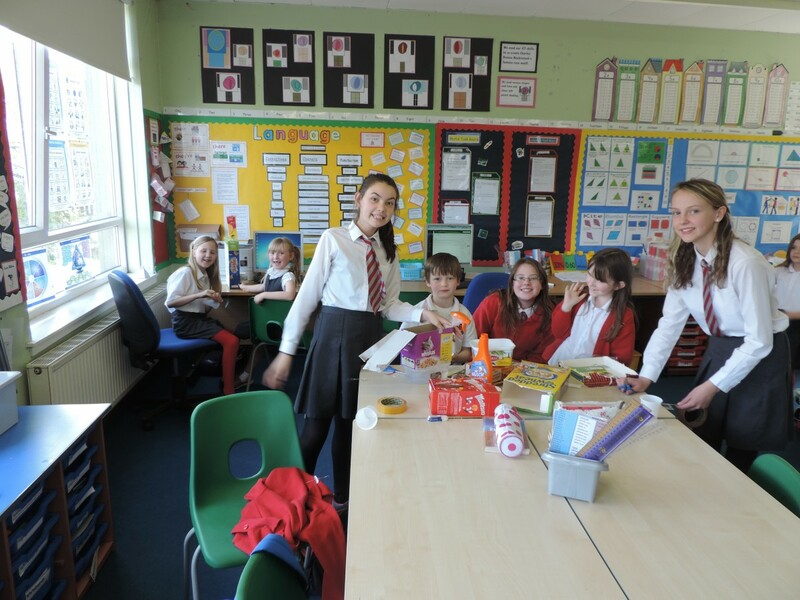 The class of Primary 6/7 would like to say a huge thank you to Mrs McQuaker, Mrs Pollok and Mrs Dolling who all gave up their time to come into our class and help the children create some wonderful Christmas wreaths. 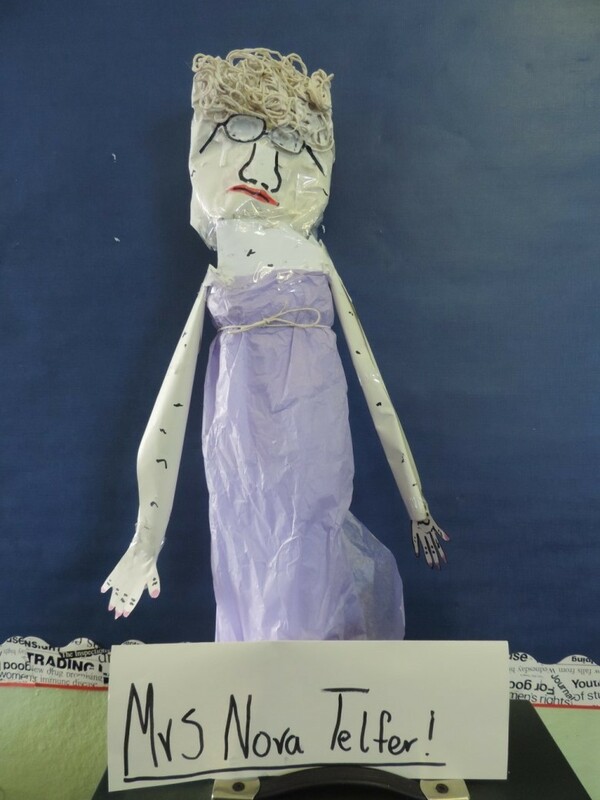 The pupils thoroughly enjoyed using their creative skills and we look forward to selling them in the run up to Christmas. 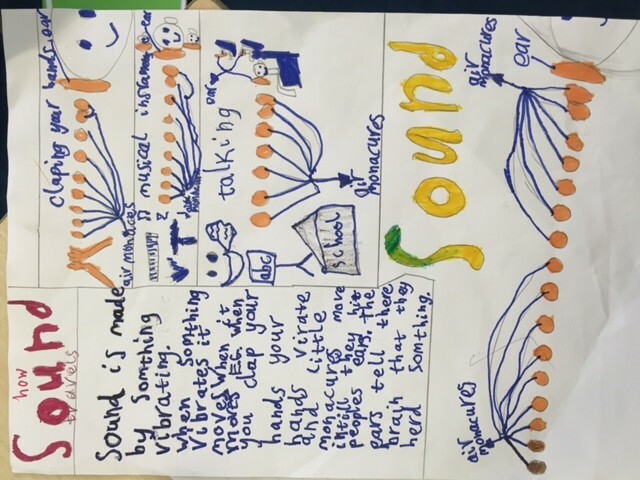 Miss Dawson-Bowman’s Eco Committee set the boys and girls a challenge to design an Eco-friendly poster. 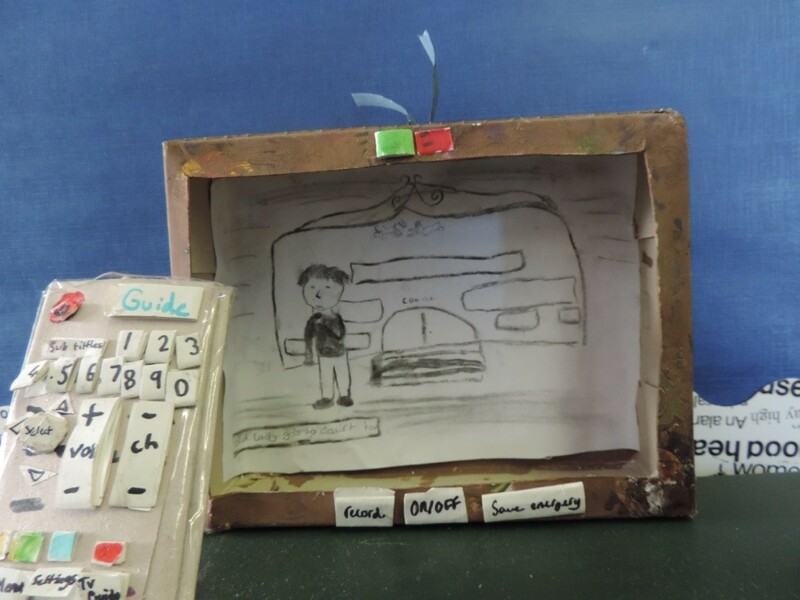 Each class had an eco subject to focus on, such as, recycling or saving energy. 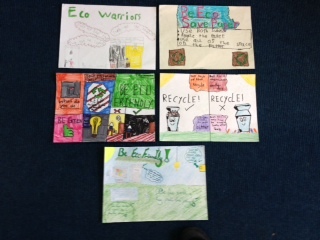 The Eco committee judged each entry and decided on the winning posters from each class (see below). The winers were Ruby, Alexander, Cameron, Megan-Jane and Shannon. These posters will be professionally printed and displayed on the ‘Eco Wall’ in our gym hall. 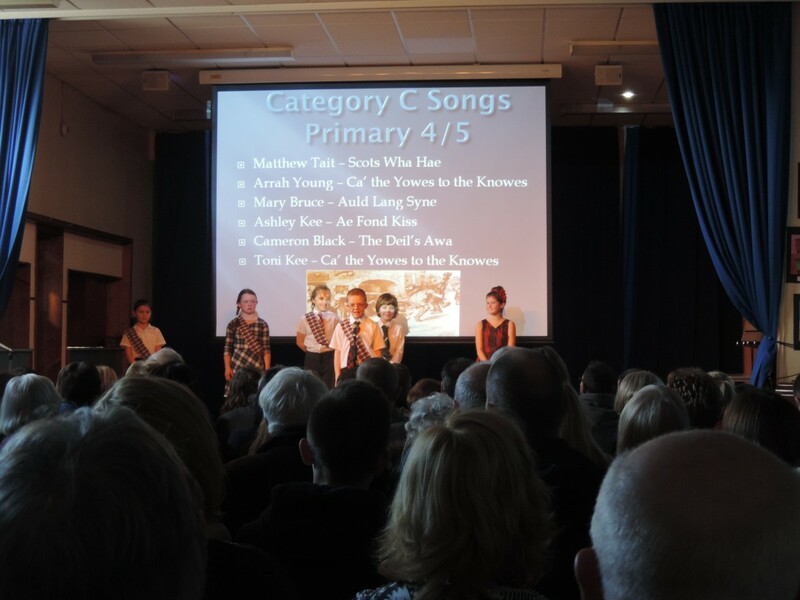 The standard was so high that Miss Dawson-Bowman announced there will be awards for runners up. Well done to our winners and all who took part.